Dairy, the latest health-ingredient star, has benefited from recent studies indicating its component ingredients, such as protein, vitamin D and calcium, can benefit a span of diseases and symptoms, from metabolic syndrome, obesity and pre-diabetes to heart health and cognition. Those studies and claims add to the milk industry's traditional "builds strong bones" marketing and research from just a few years back that a dairy-rich diet could help keep us slim. Dairy is in need of a shot in the arm. Milk consumption has fallen sharply since 1970, some of that decline due to a blanket anti-fat approach to diet and health -- since proven erroneous in most respects. Because some dairy products are calorically dense, with percentages of fat that can conflict with a low-fat approach to weight loss, the entire class of dairy foods and beverages suffered. Total U.S. consumption of all fluid milk and related fluid milk products decreased from about 260 lbs. per person per year in 1970 to 195 lbs. in 2008, according to USDA's Economic Research Service. While lower fat (2 percent) and fat-free (don't call it skim anymore!) milk sales nearly reversed declines in whole-milk consumption, the real liquid drink star was yogurt, rising from 0.83 lbs. to 11.8 lbs. in that same period. The attention paid to yogurt's health benefits helped resurrect interest in the broader dairy connection to health. And on the heels of such research, whey protein emerged as one of the biggest stars in the constellation of healthy dairy ingredients. Milk contains two major protein groups: caseins (which account for nearly 80 percent of the protein content) and whey proteins (supplying the remaining 20 percent). Both contain all the common amino acids, and are especially rich in the essential ones. Whey protein is a class of globular proteins isolated from whey, a liquid by-product of cheese manufactured from cows' milk. Reports published recently in the British Journal of Nutrition suggest it is one of the most potent factors in milk for health. Whey protein has been a favorite of body builders for years because of its ease of digestion and richness in branched-chain amino acids, which fuel working muscles. Whey proteins also have low levels of allergens compared to casein proteins. But their application goes beyond that of a dietary supplement. "Protein-based fat replacers, such as whey protein, possess significant potential in offering fat-free and reduced-fat options in a range of food categories, such as soups, sauces, dips and spreads, among others," says Jeff Banes, applied technology manager for Grande Custom Ingredients, Lomira, Wis.
Grande makes its Bravo functional whey protein as a fat replacer for high-fat ingredients in various food product formulations. "Because it possesses a clean dairy flavor profile that is not often found in whey protein, it can replace high-fat ingredients while maintaining the proper flavor and texture properties of the full-fat product," he says. "For example, Grande Bravo products can be used to replace as much as 100 percent of the cream in applications such as Alfredo and other cream sauces, while possessing the same appealing qualities without the added fat." That ability to help match the organoleptic qualities of fat is what makes whey protein a triple boon to processors because it carries its own health benefits. In addition to being an easily digestible protein, research shows it to be a balancer of blood glucose as well as insulin and other hunger hormones, plus studies suggest an ability to help protect against cardiovascular disease. And whey protein boosts satiety. Until recently, the idea of gaining the advantage of dairy protein in formulations such as clear beverages was an insurmountable challenge. But through microencapsulation and other technological finesse, high-concentration whey protein is now able to be incorporated into sports/recovery drinks, satiety beverages and enhanced waters. One example of this technical achievement is the ClearProtein line of whey protein isolates from Fonterra North America, Rosemont, Ill. At 90 percent concentration, the protein can be used in powdered mixes or ready-to-drink products without impacting flavor and allowing for high clarity in prepared form. Yogurt hits all the right buttons health-conscious consumers are looking for in dairy products, satisfying the need for protein and calcium while contributing probiotics — healthy bacteria that populate our gut and turn some fibers into beneficial short-chain fatty acids. To help feed the beneficial bacteria yogurt provides, some manufactures are adding various soluble fibers. A study published in The Journal of Food Science in 2008 showed that inulinic oligosaccharide fibers can change the smoothness and textural qualities of frozen dairy desserts while promoting the viability and number of the beneficial bacteria in the dessert medium. "Julie's Yogurt helps with absorption of calcium and magnesium and aids digestive function and regularity," states Marilyn Lasseigne, executive manager of Oregon Ice Cream, Eugene, Ore., which also makes Julie's Organic Yogurt. Julie's adds NutraFlora short-chain fructo-oligosaccharide prebiotic fibers to its frozen yogurts. Made by GTC Nutrition, Westchester, Ill., NutraFlora not only provides the health benefits described above but can enhance flavors and promote absorption of calcium and other minerals. Danisco Bio Actives, Madison, Wis., provides active probiotics for dairy and other formulations. Its Howaru line of probiotic bacteria also are known to enhance the texture and mouthfeel of products while offering the positive gut-health attributes associated with probiotic bacteria, including improved digestion, reduced risk of lower-GI cancer and decreased risk of heart disease and diabetes. The confluence of new science establishing the position of dairy ingredients as health enhancing with the technology for incorporating dairy-derived ingredients across a wide range of formulation applications is timely. 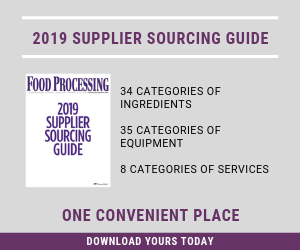 As processors encounter greater challenges to distinguish themselves in the crowded health-oriented marketplace, they are uniquely positioned to employ a nearly limitless range of ingredients that come from, but are no longer restricted to, milk and cheese.